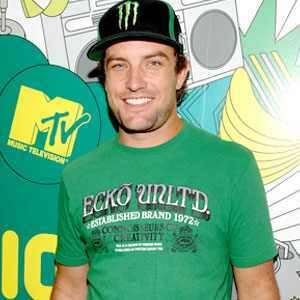 After being hospitalized for more than a week, we can happily say that TJ Lavin is showing great signs of improvement. The BMX rider and MTV host is now speaking and breathing on his own. His feeding and breathing tubes were removed on Thursday, and friends say Lavin can mumble a few words. "He's answering questions," friend and business partner Chas Aday tells People. "He'll say 'yes' a little bit and he knows where he is, but he's not opening his eyes yet." Doctors are saying that the 33-year-old should not suffer any brain damage, but will need rehab after he gets surgery for his shattered wrist. Lavin had been put in a medically-induced coma after his dirt-bike accident to minimize problems do to brain swelling and his other injuries.